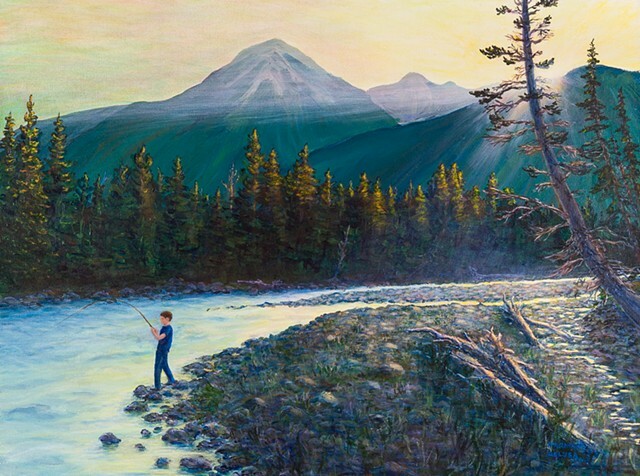 This painting brings back memories of our son fishing on the Bull River, one of many fishing trips. In this scene, the serious young fisherman is on the river bar before the morning sunrise. The Bull River is west of Fernie on a backcountry road.